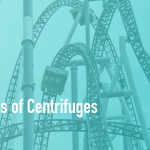 Home » Centrifuges » How does a Centrifuge Work? A centrifuge is a machine that is used to separate fluids of different densities by making rotations at very high speeds. The spinning of the liquid enhances the separation of the content in it. The liquid with high density will be at the bottom while the one with a low density will be at the top. The force that is produced by rotating the liquid is higher at the bottom and low at the top of the top. Why is the force high at the bottom while we all expect it to be high at the top? This is because the liquid at the bottom is heavier hence their centripetal force is high. The centripetal force is the force that makes an object to keep on moving in a circular motion. It ensures that the object does not move in a straight line. The centrifuge has a rotor, the rotor holds the liquid to be rotated. The rotor is placed in a shaft so as to keep it into position. We have four types of rotors, vertical rotor, zonal rotor, swinging bucket rotor and fixed angle rotor. The shaft is not stable hence the liquid placed in it should be evenly distributed so as to have balance. When using the fixed angle rotor, the tubes are placed in a straight position. The tubes are in a fixed position hence they cannot move. This rotor is limited to small liquid separation. On the other hand we have the swinging bucket rotor. 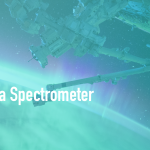 In this the rotor is able to spin in the centrifuge. As the speed of rotation increases so does the radius within which the rotor is moving. We can compare this with the way the merry go round operates, the high speed makes it to spread out when the speed is reduced the “wings” come back to a horizontal position. The mixture to be separated is placed in a rotor at an angle that will make the spinning be easy. Once you have placed the samples in the centrifuge close it to prevent spillage. Ensure that the rotors are placed in the shaft in a manner that they balance. If the weight is not equally distributed in the centrifuge the machine will break the tubes. The centrifuge is then turned on after. It has buttons to regulate the speed one desires. When the liquid is spinning, there are two major forces at work: centrifugal and centripetal force. The centrifugal force pushes the liquid from the center to the outside while the centripetal works the opposite by forcing the liquids to the center. The two forces are the one that bring about the separation. The centripetal comes from the bottom pulling inwards thus the denser liquid moves to the bottom. The centrifugal force comes from the top pushing outwards thus making the liquids that are less dense to be at the top. It is clear that force of gravity plays no role in the centrifuge. The only forces used are the centrifugal and centripetal.